Whilst there is an oversupply of programmers skilled in some languages, there is heavy demand for skilled ASP.NET Programmers. This course provides a comprehensive introduction to ASP.NET. By the end of the course, you should be able to easily understand all the major aspects of ASP.NET and use it to produce their own web applications. This is the only ASP.net course available completely by distance education. Work as web developer for software companies, Freelance Webdesign work. asp.net programmers get paid very well, depending on their experience. Computer technicians are in high demand. With an increasing number of computers used in both the home and workplace, there is a significant and ever growing demand for people to install, maintain and repair both hardware and software. While many computer courses teach programming, surprisingly few provide the type of training needed to be a competent and effective computer technician. This course provides an introduction to servicing computers. It develops a broad and general understanding of repair and maintenance procedures that can be used at work or home, and in doing so provides a good starting point for anyone seeking a career in computer servicing. This course is the first step if you are looking to work as an IT technician or an IT support specialist or just want to know how to fix your own computer if it has some problems. This course covers more into the hardware diagnostics, fault analysis. 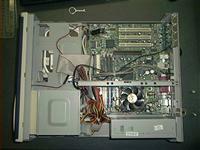 It also covers software trouble shooting etc. This course expands on and continues from the basics covered in Computer Servicing 1. If you are looking into expanding your skills more into troubleshooting and hardware diagnostics this course is suitable for you. This is the ideal course for people who are experienced in IT and are looking to improve on their knowledge. This course covers; removable storage; electronics; audio systems ; video systems; laptops and other portable devices; diagnosis and regular maintenance; networking - an introduction; connectivity and much more. This course is or people who already know how to use a computer, but wish to extend their skills, particularly with respect to Microsoft applications and computer functions such as operating systems, file management and more. If you want to improve your skills with Microsoft Office Suite (Excel, Access etc), own a PC with a Windows operating system and want to understand your computer better, this is a great course for you. Understand Vulnerability Assessment, Securing facilities & networks, Digital footprints, Security Certificates, Firewalls, IDS, IPS, Cryptography, Disaster Recovery and a lot more. Develop an ability to manage commercial transactions electronically, particularly via the internet. While the course is concerned with marketing, management and processing; the primary concern is marketing. E commerce is short for “electronic commerce”. It is anything concerned with doing business electronically, in particular business conducted electronically and online, as such this course focuses on internet business. This course is excellent for managers and marketing people who are good with general marketing but are not very sure about marketing on the web, or small businesses who are wanting to venture into online business. 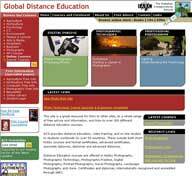 Flash is used to make multimedia files and interactive websites. This course provides a comprehensive introduction to Adobe Flash MX. It assumes the student has no knowledge of Flash at all but they must have access to a computer with a CDROM drive and Flash MX installed. As with all our computer courses, students are able to purchase the software required (Flash MX) at a heavily discounted price (academic pricing). More information can be obtained about this from the school. By the end of the course, the student should be able to easily understand all the major aspects of Flash MX and use it to produce their own Flash applications. If you are thinking of a career in multimedia or graphic design this course is a must for you. Lot of people take up this course out of interest as well. Graphic Design is a valuable skill to possess across a range of professions - from IT to publishing and marketing. This course will teach you all about graphic design, and how it is applied commercially. You will gain this knowledge in a flexible learning environment, and all while studying at your own pace. Learn to keep Intellectual Property on your computer secure. write web apps & more! This course compliments our HTML course and forms part of the Certificates in Web Development. Learn about Computer networks; what they are, their component parts, the various configurations that are possible and what they can do. This course lays a foundation in a way that will enable you to better plan and manage computer networks. Networking Foundations is designed for the office manager, or I.T. professional who has limited knowledge of networks; and needs a more solid foundation in order to build their knowledge, skills and ability to work with networks. Develop a basic understanding of how to create and manipulate images and artwork compositions using Adobe Photoshop for use on the web, email and print. The course is upgraded regularly by a leading graphic artist to retain current industry relevance. This is an excellent entry to medium level course for anyone wanting to use Photoshop in their work or interests. If you work a lot with images, photos and graphics this course is a must have. This is an essential course for those working with websites as well as people who are interested in digital photography and are looking to learn to edit their pictures and make suitable for printing. No workplace can function today if the computers don't function - this gives people with an interest in I.T. the opportunity to study and work in this lucrative field - as atechnician within a company or set up your own I.T. support busniess. Opportunities abound for those with the right background and right attitude. With this course you will learn to support computers and you gain potential employment in virtually any industry and any workplace. Take your work wherever your computer goes. Develop a mix of skills in I.T. and marketing, which are in high demand world wide. Ecommerce is a must have skill for managers in any industry not just IT because all businesses now use the world wide web as another point of sale. To successfully sell on the web knowledge of the way business and marketing goes on the web is a must have. Great course for Marketing managers and Business managers. You can work as , IT Consultants, Ecommerce Consultants, Web marketing consultant, IT Managers, Web Developer, etc. This course develops a balance of skills in both Information Technology and management to produce a graduate with the foundation training to manage an IT business or department. This course does not require any previous IT experience though experience in using a personal computer will be useful. This applied Associate Diploma will provide you with a unique mix of skills and knowledge in IT as well as giving you the option of further gaining skills in marketing. This a good course for people who want to start a career in IT or people with IT experience who want to attain a qualification to further their career. Our IT courses are flexible, up to date and focussed on industry needs; and this courses is longer and more comprehensive than most. It develops a balance of skills in both Information Technology and management to produce a graduate with the foundation training to manage an IT business or department. This course does not require any previous IT experience though experience in using a personal computer will be useful. This a good course for people who want to start a career in IT, or people with IT experience who want to attain a qualification to further their career. This unique course is designed for those with English as a second language but who want to develop their English skills for online publication and journalism. From this course you will gain improved skills in English grammar and writing, freelance writing, the knowledge to create a web site and a broad understanding of the modern publishing industry. The publishing industry has changed greatly over recent decades, embracing IT not only for writing, but also production and increasingly for publishing. This is a very good course for anyone seeking a start in today's publishing industry. I.T. is a mainstream skill needed everywhere -in every office, every factory, every commercial or other work situation. If you can supplement your existing knowledge with a deeper understanding of IT, you can become more attractive as an employee, more profitable as a business owner, and more effective in any work situation you find yourself in. This course is a broad foundation course for anyone seeking entry into a career with computers. It is also a good course for people looking to complement their existing careers with IT knowledge. No previous IT experience is required to undertake this course. Web Site Development has become a huge industry; and there is high demand for developers who can bring results. I.T. Staff at ACS are world leaders in web site development, rest assured you will be trained by experts. This certificate teaches the most in demand web development tools like HTML, ASP.net, Visual Studio.net, SQL, E commerce and Digital photography. A Proficiency Award is a type of “specialist” certificate; designed to provide a qualification to reflect “knowledge or skills” in a specialised area. 200 hrs work experience or a workplace project. You can satisfy this by either submitting a reference from an employer or reputable colleague; or undertaking a major programming project (under tutor guidance). Career Opportunities Once this course is undertaken and completed you can start working as computer programmers, webdesigners or web developers. Develop skills in the repair and maintenance of computers (PC'S). A Proficiency Award is a type of “specialist” certificate; designed to provide a qualification that reflects “knowledge or skills” in a specialised section of an industry or discipline. Gain valuable skills and knowledge in a growing and in-demand field of IT. Databases in general are of the up most importance to businesses world wide and SQL is the most common and used language. Weather you are a beginner, intermediate or professional in IT, this course is designed to provide a solid foundation on databases and the SQL language. This course provides a comprehensive introduction to Visual Basic.NET. It assumes the student has no previous knowledge of Visual Basic .NET or computer programming. By the end of the course, the student should be able to easily understand all the major aspects of Visual Basic .NET and use it to produce their own windows based applications. If you are a beginner and don't know anything about programming or If you are a programmer experienced in html but want to complement your knowledge with VB.net this course is right for you. Visual basic combined with html can produce very sophisticated websites. ACS student comments: "I am finding the course very valuable it is keeping me focused and the content is excellent. I have a tendency to go off on tangents but the structure of the course keeps me on track." 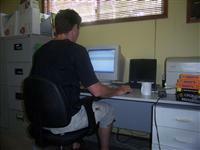 Bill Anderson, Australia - Visual Basic .NET course. Using our modern online portal for study is a simple and effective way of learning. Once enrolled, you will receive your online account to our login.training system that will give you all the lessons assignments and self-assessment tests so you can start studying straight away.